Sanskrit is considered as the mother of all higher languages. This is because it is the most precise, and therefore suitable language for computer software. ( a report in Forbes magazine, July 1987 ). Algebra, Trigonometry and Calculus are studies which originated in India. The' place value system' and the 'decimal system' were developed in 100 BC in India. The first six Mogul Emperor's of India ruled in an unbroken succession from father to son for two hundred years, from 1526 to 1707. The art of Navigation & Navigating was born in the river Sindh 6000 over years ago. The very word 'Navigation' is derived from the Sanskrit word NAVGATIH. The word navy is also derived from the Sanskrit word 'Nou'. The value of "pi" was first calculated by the Indian Mathematician Budhayana, and he explained the concept of what is known as the Pythagorean Theorem. He discovered this in the 6th century, which was long before the European mathematicians. Algebra, trigonometry and calculus also orignated from India. Quadratic equations were used by Sridharacharya in the 11th century. The largest numbers the Greeks and the Romans used were 106 whereas Hindus used numbers as big as 10*53 ( i.e 10 to the power of 53 ) with specific names as early as 5000 B.C. 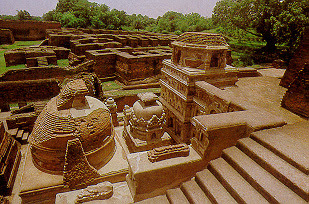 during the Vedic period. Even today, the largest used number is Tera: 10*12( 10 to the power of 12 ). Sushruta is regarded as the father of surgery. 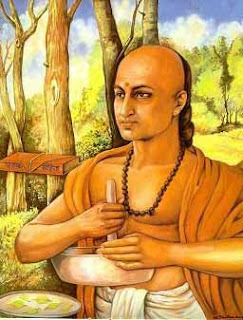 Over 2600 years ago Sushrata & his team conducted complicated surgeries like cataract, artificial limbs, cesareans, fractures, urinary stones and also plastic surgery and brain surgeries. Usage of anesthesia was well known in ancient India medicine. Detailed knowledge of anatomy, embryology, digestion, metabolism, physiology, etiology, genetics and immunity is also found in many ancient Indian texts. It's a amazing collection about India. nice job but there are also lots of other facts & our culture is not just from 5000BC its very older nobody cant define time. Since Christians civilization is around from Jesus that's why they rolled out all the things around 4 to 5000 years because they are richer now so everyone follow them. Bhartiyas follow them because of our Makale Education Sysytem which was applied in british rule to crash our pride & wash our brain that is also continuously followed by our government.